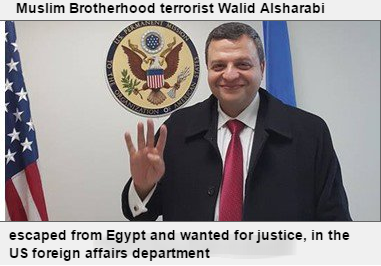 Walid Sharabi and Gamal Hishmat, Muslim Brotherhood leaders, wanted for justice for participating in killing and inciting on terror attacks in Egypt, escaped from the country and they are hosted by Qatar, Turkey and moving freely in Europe and the USA. They are wanted for participating and inciting on burning vital buildings and public properties, inciting for violence and killing, criminal court cases numbers 12838 year 2013, and 10790/101 year 2013. 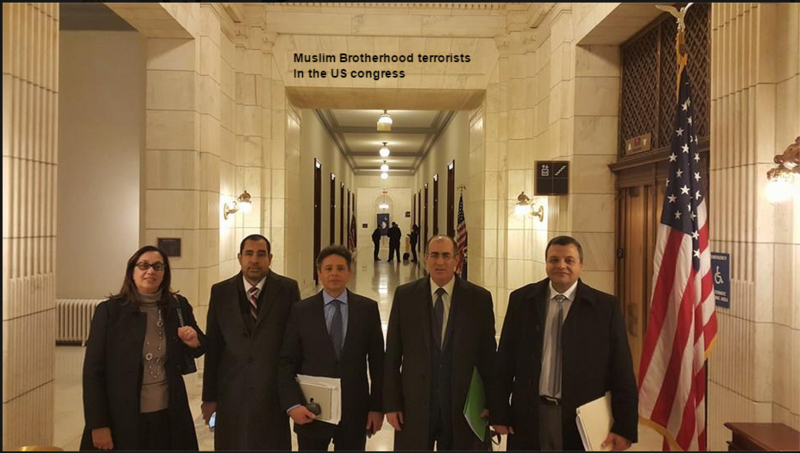 Muslim Brotherhood leaders attended meetings with senior US officials and Congress in this current month Jan 2015. Walid Sharabi declared on his Face book page, that Mohamed Morsi being the legitimate president of Egypt, is not an open issue for discussion or arguments. He added that this is not the first time and won’t be the last time to held meetings with US officials and also they are in contact and meetings with 27 other countries in the world to discuss Egyptian affairs issues. Muslim Brotherhood leaders in the above screenshot are the leaders of the revolutionary council formed and established by Muslim brotherhood in Turkey after the 30/6/2013 revolution. The woman is Maha Azzam the chief of the council, Walid Sharabi and Gamal Hishmat Shura council member of Muslim Brotherhood and Abd Elmawgoud Aldardiri the official spokesman of Muslim Brotherhood and their dissolved political party, after being declared a “terrorist organization” in Egypt. Despite that the US refused to consider Muslim Brotherhood as “terrorist organization”, and that the US doesn’t hide publicly their ties with Muslim Brotherhood, but we do have many questions and exclamations here. What is the purpose of these meetings? Is it to hold the stick from the middle?! There is a blatant contradictory in the White house policy , The White house claims their support for stability and fighting terrorism in Egypt, and in the meantime time, they support and held meetings with the same terrorists, Egypt is fighting! There is no official declarations from the US officials or the Brotherhood about the details of discussions of these meetings between MB and US officials. If Washington follows the transparency policy as they always claim, why these meetings details were not published to the public opinion!? There is certainly a message there to Egypt from the US and their Muslim Brotherhood allies, and If there is any honesty or transparency in the White house policy, Obama should declare and admit publicly that they held deals with the devil and the terrorists, as long as it serve their interests, and they have no shame in applying double standards policy. This is happening already, so why not call spade a spade! Does the White house think that playing with this idiotic card of Muslim Brotherhood, can put any pressure on Egypt, when needed, or to go on with the same chaos middle East project, that Egypt was saved from, after the 30/6 Egyptian revolution, to face the same destiny of Syria, Libya, Iraq and Yemen, so the project will be accomplished and achieve its targets! Is it a coincidence or intentional to allow the first political party of a terrorist organization like the Muslim Brotherhood in the USA, and held official meetings with them…what is the deal here? On 26 Jan 2015, the inquisitr’s Website published that Muslim Brotherhood Starts A Political Party “UMMA” out of Chicago. The founder of the party is Sabri Samirah a Jordanian Muslim Brotherhood member, was deemed a US national security risk in 2003 and was banned from entering the US for almost 11 years. Sabri Samirah, was allowed into the U.S. by President Barack Obama back in 2014 following an 11-year ban!!! 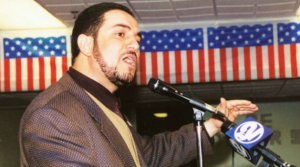 He immediately gathered Muslims to form the party, which is now recognized as the UMMA, an offset of the United Muslim Americans Association (UMAA means nation). The first political party in the U.S. to be openly connected to the Muslim Brotherhood terrorist organization. 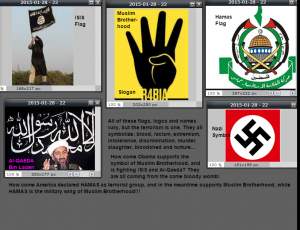 So, not only the White House refused to consider Muslim Brotherhood as terrorist organization, but they allowed them to form a political party in the US… There are some political analysis that are confirming the ties between MB and Washington, to keep the channels open between the US and terrorist Organizations through the mediation of Muslim Brotherhood, like Al-Qaeda and ISIS to ease the pressure on the US in their fight against terrorism! What is the deal Obama?! This is not the first time and it won’t be the last time either, the White House make deals with all parties, including terrorists, this is no longer a secret and it is not shocking anymore. But why not call things by its own names? Obama always talks about his administration’s principles and values and standard policy and he is always lecturing us about the US transparency in dealing whether with internal or external affairs. But he never calls things by its right names! They are the same brotherhood who burned churches, killed Christians, tortured and killed Egyptian citizens and burned private and public properties, they are the same Brotherhood who are loyal to ISIS and raising their flags of slaughtering and terrorism in Egypt. This is their tactics, they are spreading through deception, and when the right moment comes, they show their ugly faces and raise their swords against any one who doesn’t belong to their sick distorted ideology. This is no longer a prediction or analysis, this is no longer a reading of the scene. We repeat and we will never gave up confirming and warning the entire world that Muslim Brotherhood is a terrorist organization, because this is what we have lived and experienced when Egypt was under the rule of Muslim Brotherhood, and we are still fighting their terror attacks. Obama, you can’t support the Egyptian people and support the terrorists at the same time, unless of course, you are a MORON or a Schizophrenic! We did chose freely our destiny and future, like UNCLE OBAMA said, by our own free will on 30/6/2013. We revolted against Muslim Brotherhood fascist regime and got back our identity and country that has been hijacked by Muslim Brotherhood terrorists. Obama can’t claim that the US respect our human rights and free choices, the Obama’s administration violated one of our main human rights when they interfered in our internal affairs from the very first beginning, and every time they are dictating and lecturing us about what must be done to enjoy freedom and democracy. Obama is against violence and armed demonstrations, this is what he claims…He mentioned several times that those who demonstrate can not express themselves with violence!? Not even with bombs or machine guns! How come Obama is telling our gevernment to apply Restraint policy, while they are facing Muslim Brotherhood armed demonstrations and terror attacks?! Yes, “He can” support us and support the terrorists at the same time. Obama, you can’t claim that you are with us and you are fighting terrorism, and at the same time, you are hosting Terrorists in the heart of America! All of these flags, logos and names vary, but The terrorism is one. they symbolize the blood, racism and extremism, intolerance and discrimination, murder and slaughter and bloodshed and torture. How come Obama supports the symbol of Muslim Brotherhood which is a symbol of terrorism, violence and blood, and he is fighting ISIS and Al-Qaeda? They are all coming from the same bloody womb! How come America declared HAMAS as terrorist group, and in the meantime, the white house is supporting Muslim brothers terrorists and Hamas is the military wing of MB! Muslim Brotherhood raising their 4 fingers sign of terrorism and blood in the US congress and US foreign affairs department, it is not a message of challenging the Egyptian State or the Egyptian people, but Muslim Brotherhood are directly challenging the American people. This is totally insane and beyond any logic for any brain to absorb or even to understand.